When you're searching for anything related to musical instruments in Boise, Idaho, you want to visit a music store that cares about the decisions you make. We'll help you get an instrument that's comfortable and meets your budget so you'll never want to put it down. We carry a large selection of new, used and vintage guitars and amplifiers. Contact 12th Fret Music today for a guitar store in Boise, ID. Don't Fret. We'll Fix It. We sell a wide range of musical instruments, including guitars, drums, amplifiers and keyboards. You'll find popular brands to choose from, as well as items no one else carries. Bring your current instrument in for a tuneup or repair so you can get years of enjoyment out of it. 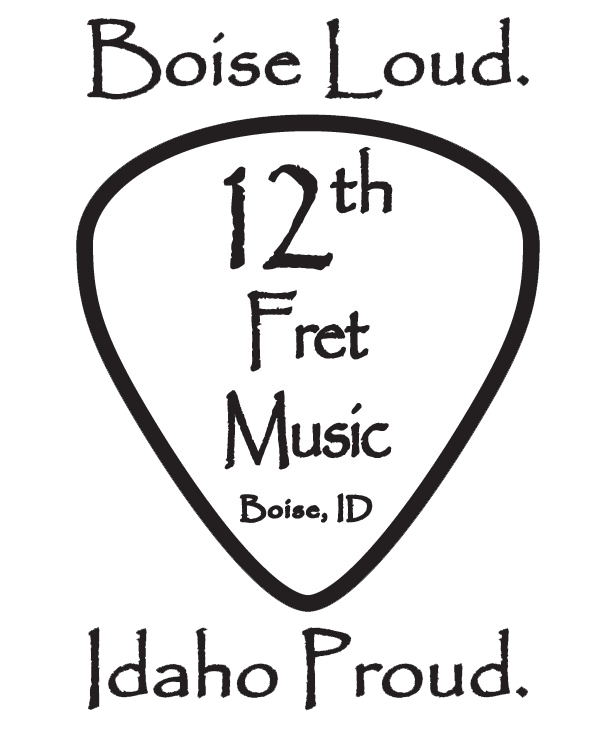 Visit 12th Fret Music today for a friendly music store in Boise, ID. In an effort to provide more than sales and lessons, we're building a recording studio and soundstage. The stage will be a great place to see live music and product demos. We'll connect you to instrument rentals to provide everything you need for your next performance, including instruments and PA systems. Call 208-343-2320 today to learn more about renting musical instruments in Boise, ID. Your Online Code is "broadway"